Anisha Devall Forbes, age 41, 30535 Oak Crest Drive, Walker, LA., 70785, Monetary instrument abuse, theft. Arrested by Eunice Police Department. James Oneal Chaisson, age 45, 162 Scarlett Drive, Opelousas, LA., 70570, Bench warrant (2 counts). Arrested by St. Landry Parish Sheriff’s Office. Norman Ben, age 51, 1107 King Boulevard, Ville Platte, LA., 70586, DWI 2nd offense, driving under suspension, speeding. 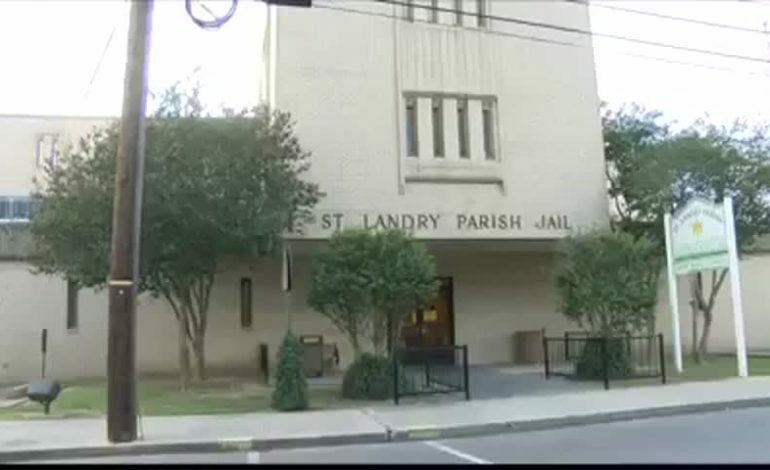 Arrested by Louisiana State Police. Jerome Joseph Savoy, age 44, 665 Martin Luther King Drive, Grand Coteau, LA., 70541, Drug court violation. Arrested by St. Landry Parish Sheriff’s Office. Kerry James Albarado, age 34, 2637 W. Gloria Switch Road, Carencro, LA., 70520, Bench warrant. Arrested by St. Landry Parish Sheriff’s Office. Danny James Sylvester, age 34, 725 Valsin Street, Breaux Bridge, LA., 70517, Aggravated burglary. Arrested by St. Landry Parish Sheriff’s Office. Jermaine Durelle Hardy, age 38, 8594 Highway 182, Opelousas, LA., 70570, Disturbing the peace, criminal trespass. Arrested by Opelousas Police Department. Tranise Shanell Thomas, age 37, 821 Ina Claire Drive, Apt. #461, Opelousas, LA., 70570, Bench warrant. Arrested by St. Landry Parish Sheriff’s Office.